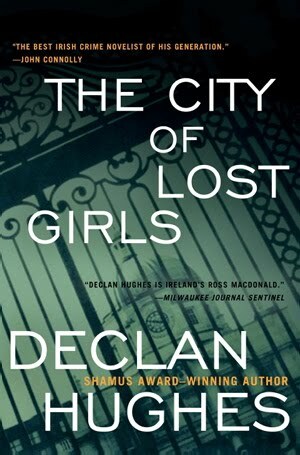 Declan Hughes is speaking in tongues in his new City of Lost Girls, and it's the voices that matter in this novel. 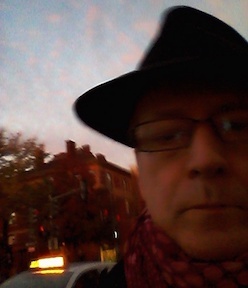 There is the usual first-person narration from is Dublin detective, Ed Loy, plus third person flows of stream of consciousness from Ed's new girlfriend Anne and from the serial killer, plus occasional third-person portraits of Ed in his earlier years, in California and a couple of texts from film history books and newspaper articles. The book has numerous aspects that normally put me off: celebrity culture, the making of a movie full of Hollywood stars (and actual actors make cameo appearances, along with fictional ones), the serial killer, California flashbacks; but all of the voices in the book are compelling, whether it's Ed worrying about the two cases his old filmmaker friend presents him (some anonymous letters and some missing girls, extras on the film), Anne's worry about becoming a suburban housewife, everyone's worries about the Irish economy--even the serial killer is a more personable sort, in the horrible logic of his crimes. One aspect that might be a flaw or a virtue depending on your attitude toward serial killer stories: Only two of the numerous killing episodes are actually depicted (even in the killer’s own narrative), the rest left anonymous. The result maintains a focus on the intertwining voices rather than the lurid crimes. The resolution of the story also undercuts the clichés of serial-killer-dom, aiming to be true to the characters instead. Hughes takes his California-style noir detective back to California, complete with film stars, studio business, and the double focus on low-life criminals and upper class families that has characterized the whole series (the two intersecting in this book in a novel twist). 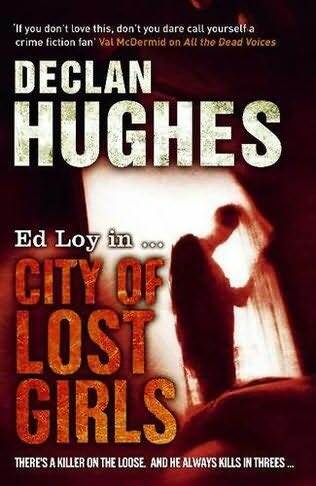 The U.S. edition, published by William Morrow, emphasizes the geography at the Irish end of the story, while the U.K. edition published by John Murray emphasizes the cinematic quality of the book, from the hazy, disturbing image to the tag-line, "Ed Loy in...City of Lost Girls," as if the cover were a film poster and Ed Loy were the star. I suppose each publisher is aiming for a visual angle that's exotic to each of the audiences, and I'm not sure which I prefer: thoughts?